Since leaving Community in 2013, Donald Glover’s career has exploded much more than you’d expect for someone who was best known for appearing on a low-rated NBC sitcom, but going through that transition opened the door for him to make the Golden Globe-winning Atlanta, make a Deadpool show, star in the live-action Lion King, play Lando in the Han Solo movie, and jumpstart a wildly successful music career under the name Childish Gambino. It looks like Glover might be preparing for another big career transition, though, and it might mean dropping Childish Gambino just like he dropped Community. 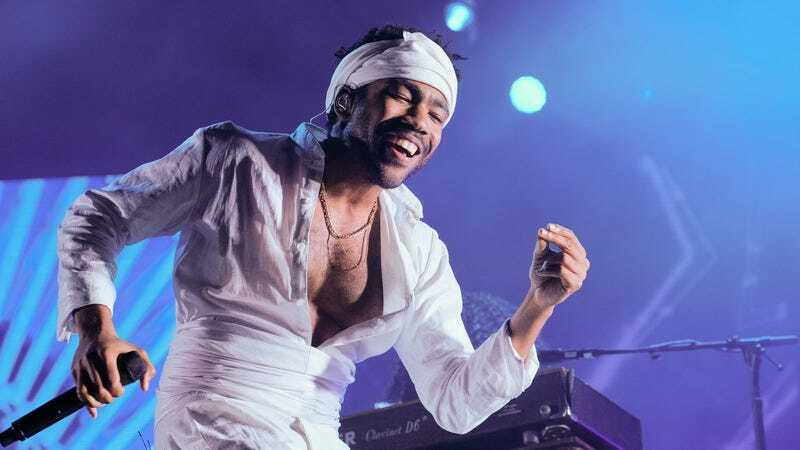 According to Consequence Of Sound, Glover told the audience during his set at the Governors Ball Music Festival last night that he’ll see them “for the last Gambino album,” seemingly implying that he’ll only make one more record before moving on to some new thing. That’s pretty much all we know at this point, but the fact that Glover specifically referred to “last Gambino album” does suggest that he could be releasing music under a new name at some point.